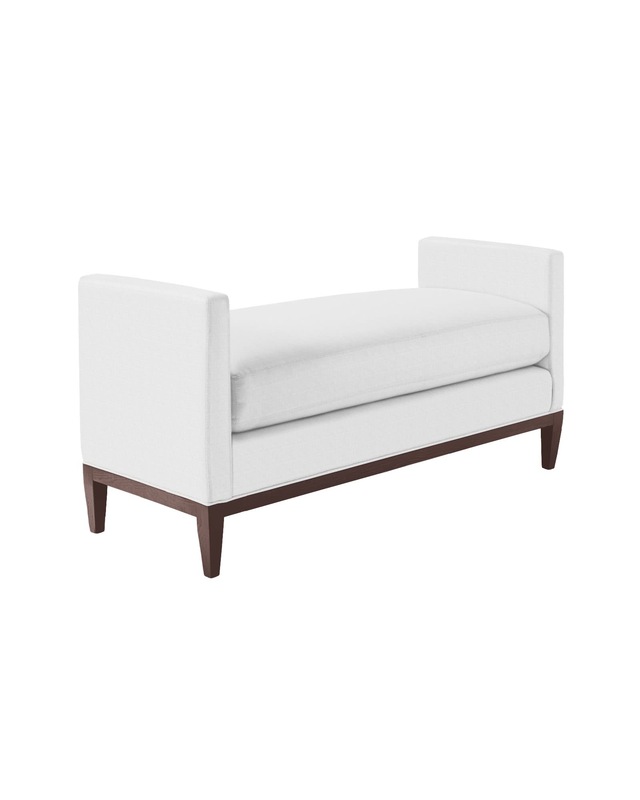 Barton 54" BenchBarton 54&quot; Bench, alt="Barton 54&quot; Bench, "
Print This is all about clean lines and simple comfort. 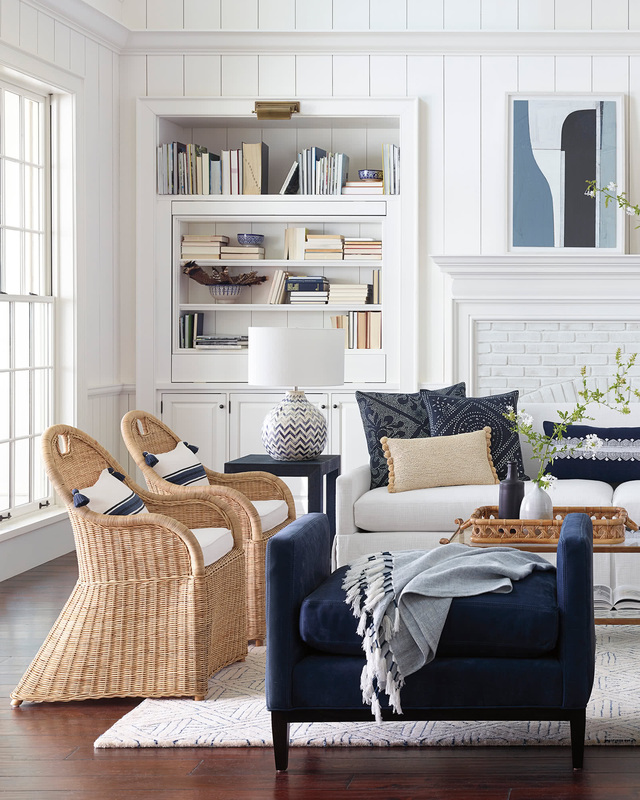 A wood base provides modern appeal, a plush cushion keeps things cozy. We like to style this at end of bed for a touch of luxury, or in the foyer to make a grand entrance, but It also comes in handy as extra seating in the living room. Cushion made of regenerated fiber-wrapped, soy-based foam core with downproof ticking. 54”W x 21”D x 26”H overall. Seat: 47”W x 21”D x 18”H.